AUTHENTIC ACHIEVEMENT. Some of the house specialties at Noodle Teahouse, 2161 East Ridge Center. 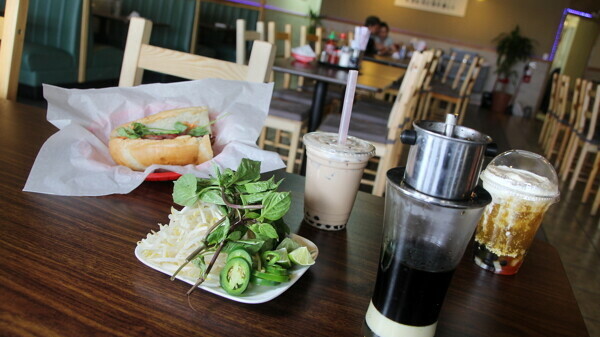 The Nguyen family at Noodle Teahouse takes absolutely no shortcuts when it comes to offering truly authentic, well-prepared Vietnamese cuisine to its customers. From the conscientious readying of the pho, the true pride of the restaurant, to the eclectic selections of teas, which are always brewed from loose leaves to develop high-quality flavor, Noodle Teahouse is the real deal. Some members of the Nguyen family have been in the Chippewa Valley for several years, but others have arrived only recently, meaning Vietnamese traditions are still deeply embedded within the family. There’s no doubt that’s a contributing factor for their insistence on authenticity in their food. After living here for several years, some of the family became frustrated with so-called Vietnamese fare that isn’t exactly genuine. That, combined with the family’s love for food, their ongoing aspiration to open a restaurant, and their desire to share it with the community, brought about Noodle Teahouse in early March. Most members of the family are involved in either cooking at or managing the restaurant, and they prepare family recipes in the kitchen. The restaurant, 2161 East Ridge Center (formerly Ninja Japanese House), has slowly been building momentum. “The first week we had a really slow start because what we’re doing here is really different,” says Amber Nguyen. “We’re really the only ones doing everything authentic.” And she means authentic. As mentioned earlier, the pho is the true representation of Noodle Teahouse. Pho is a Vietnamese noodle soup consisting of rice noodles, broth, herbs, and meat (usually beef or chicken) and is referred to as “the soul of a nation.” It is steeped in tradition and is served on nearly every street corner in Vietnam making it a core – and very cherished – dish in the culture. “I’ve always wanted to have a place in Eau Claire so I can have people know what it is and what it’s supposed to be,” Nguyen says. 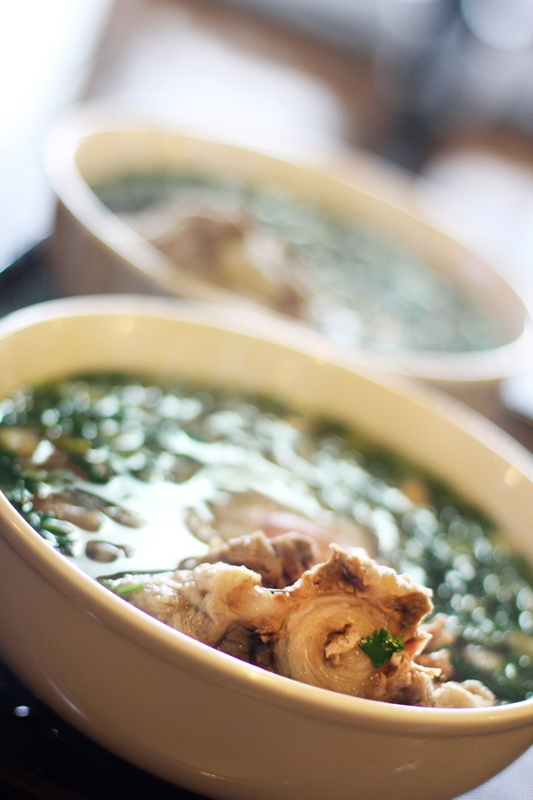 The Nguyen family uses locally sourced beef bones, oxtail, and flank steak (among other ingredients and spices) to make the pho broth, which is cooked for more than seven hours to achieve the perfect flavor. The broth, meat, and rice noodles are served in a large bowl and garnished with fresh bean sprouts, Thai basil, onions, peppers, and lemon on the side that you can add to your liking. A tray of fish sauce, hoisin sauce, Sriracha, and chili sauce are on the table so any dish can be spiced to taste. As to truly take no shortcuts, the family has driven as far as Minneapolis on several occasions to get the correct type of basil, or another ingredient, since they aren’t always available here in the quantity they need. But the family insists the effort is worth it to be able to provide authentic cuisine to the Chippewa Valley. The family even takes the time to create its own mayonnaise and pâté (for the sandwiches) from scratch. Other notable dishes on the menu include very fresh vermicelli – dried rice noodles, bean sprouts, lettuce, cucumber, peanut, grilled pork (meat optional) – that was almost salad-like with the crisp lettuce; the banh mi sandwich – which refers to a certain type of bread used in Vietnamese sandwiches, but usually includes pork, carrots, cucumber, and cilantro; and the golden milk tea (nondairy) that was super refreshing and reminiscent of an iced latte. I can personally attest to the deliciousness pf everything listed above sans the banh mi because I simply couldn’t eat another bite. But if the other dishes are any indication, I’ll be back to try it again soon. 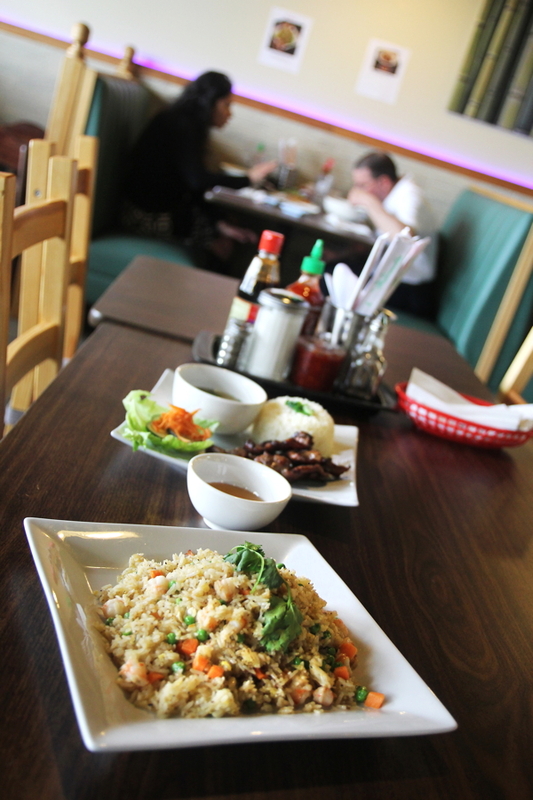 Overall, the Nguyen family works really hard and puts in the right effort to provide truly authentic, traditional Vietnamese cuisine to the Chippewa Valley. Noodle Teahouse is a great reflection of authenticity, and you should visit as soon as you have a chance.